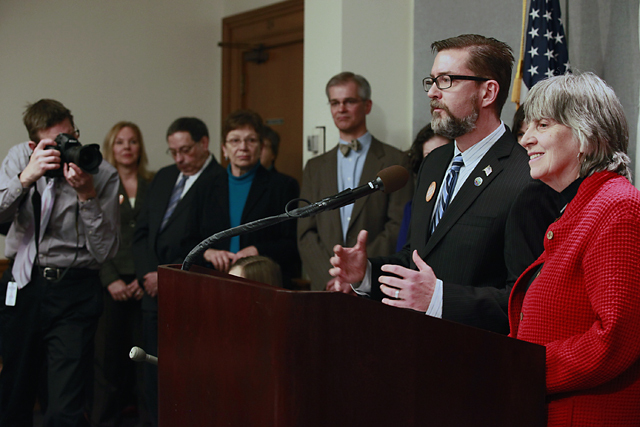 Senator Scott Dibble and Rep. Karen Clark introduced their bill for Marriage rights for Gay and Lesbian couples. 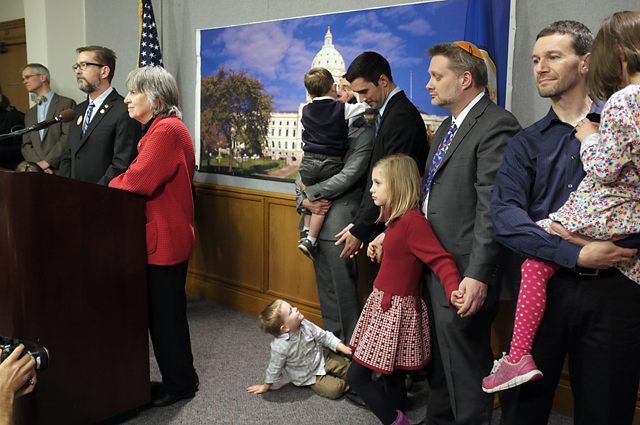 Surrounded by three couples and their children they spoke of strengthening families by allowing Gay and Lesbians to have equal rights of recognition of their families under Minnesota state law. Sen. Warren Limmer who authored the constitutional amendment against Gay Marriage said they will fight this bill. 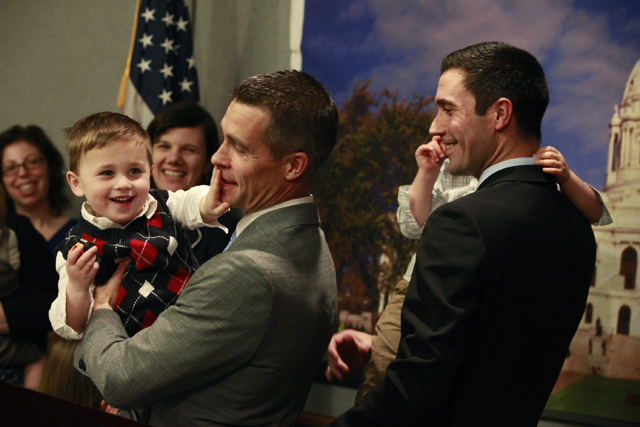 He claims his defeated amendment was not a vote in favor of Gay Marriage. 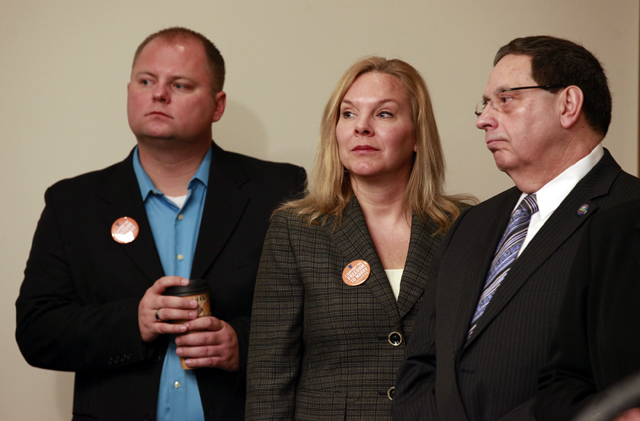 They spoke of the slippery slope of “horrible” things that will happen if this bill passes. Senator Dan Hall said as a Pastor, he would go to jail before he would perform a homosexual marriage. 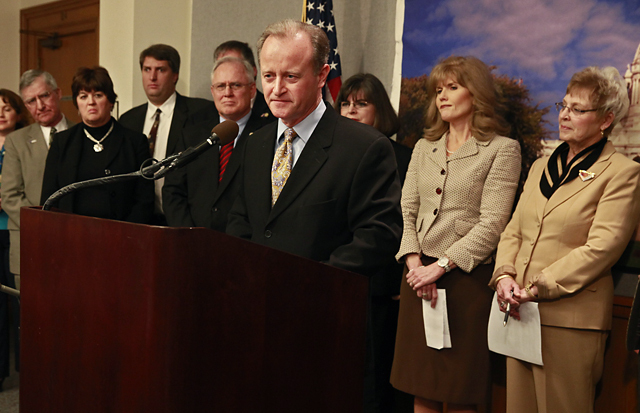 The bill specifically says churches that choose not to perform Gay marriages will not be forced into it. That is not good enough for the opposition. 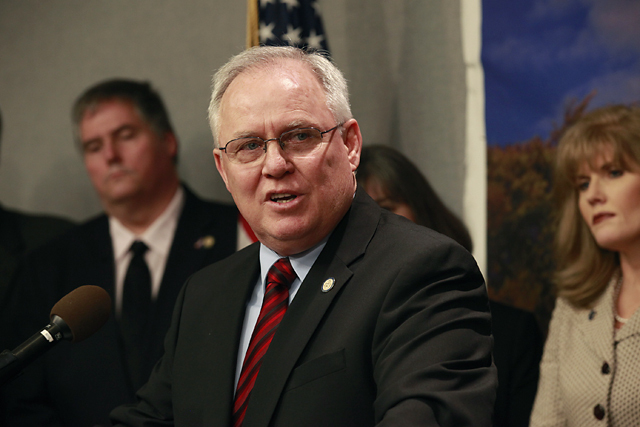 There are some Republicans who are stepping forward to say they are in support of Marriage rights including former State Auditor Pat Anderson and Sen. Branden Peterson. The Republicans said it is proven that children do better when raised by a mother and father. The children of the Gay and Lesbian couples that I saw today were normal, happy well loved children. That was very apparent. Here we go again.